There is a certain segment of the population that, when encouriaged to get outside to do a little stargazing, says, “Nah, I’ll stay inside and surf for pictures on the internet.” I don’t advocate doing this instead of going outside and seeing things for yourself, but I’m certainly not opposed to surfing for pictures in addition to stargazing. And this is a good time to do it! Hubble is back, baby, and the Hubble team showed off the rejuvenated telescope’s mojo with a ream of mind-bendingly awesome pictures, many taken by the newly installed Wide Field Camera 3 (WFC3). These have turned up all over the astro-blogosphere. 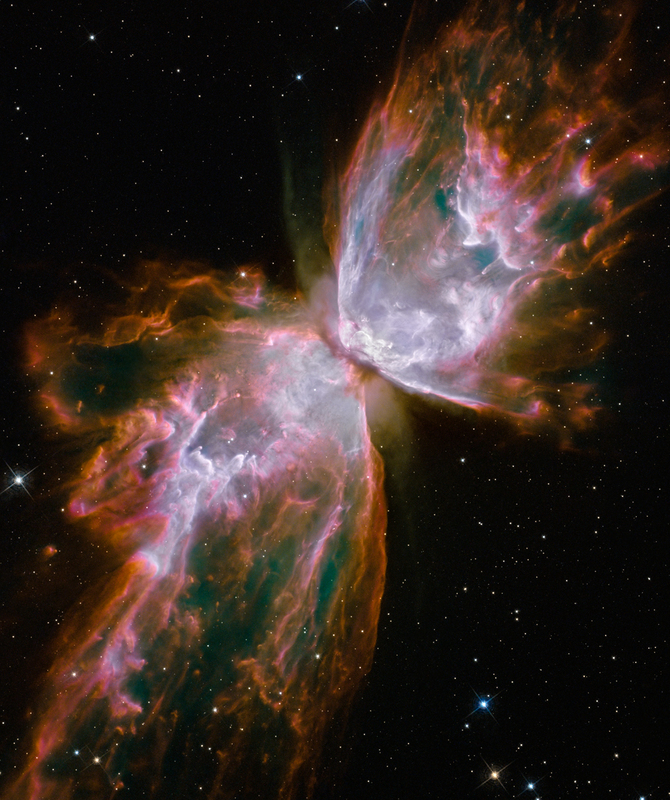 My favorite is the Butterfly Nebula, NGC 6302, a planetary nebula blown off by a dying star (at top). Would that we could all go out with such grace. For my money, the coolest non-Hubble camera in existence is the HiRISE camera on the Mars Reconnaissance Orbiter. Image above shows craters and ridges in Hesperia Planum (full version here). 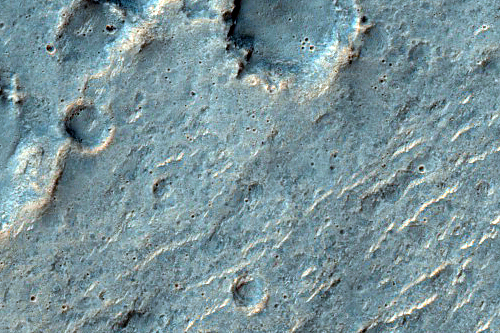 The archive of publicly available images from HiRISE continues to grow; go here and spend some time exploring another planet. You are currently browsing the 10 Minute Astronomy blog archives for the day Saturday, September 12th, 2009.